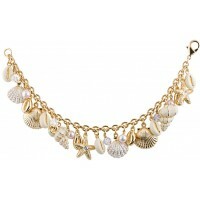 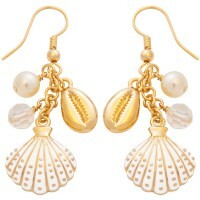 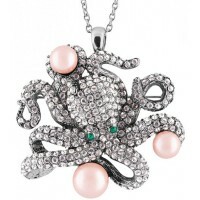 Sea life brought to life in beautiful gold or silver and crystal encrusted fashion jewellery designed in London and made in the UK using the hands of master artisans applying striking jewellers enamel and creating bold designs ranging from brooch pendants to key rings. 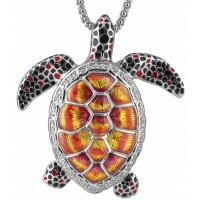 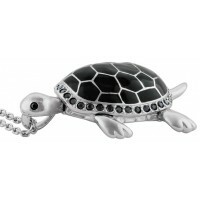 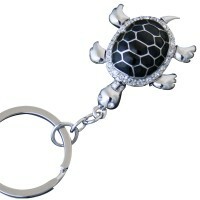 Turtle Pendant Intriguing turtle. 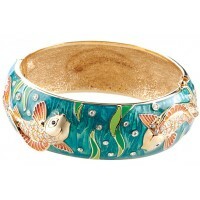 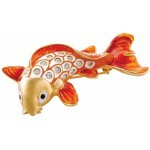 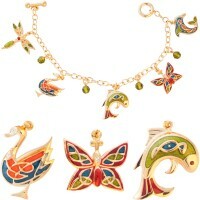 This indifferent aquatic mammal is just one of many ingenious c..
JB171 Gold Plated Koi Fish Brooch Jewelari of London This gleaming koi brooch has been gol..
JB208 Rhodium Plated Octopus Brooch / Pendant with Crystals Jewelari of London A fantastic..
JBE17 Gold Plated Crystal Koi Cuff Bangle Jewelari of London Bring colour and beauty to al..
JBT21 Sea Shell Charm Bracelet Jewelari of London The ideal gift for her if she loves the ..
JBT23 Gold Plated Charm Bracelet Jewelari of London This delicate, delightful charm bracel..
JK2 Rhodium Plated Black Enamel and Crystal Turtle Keyring Jewelari of London Liven up you..
Black Turtle Necklace A black turtle able to move its limbs and tail. 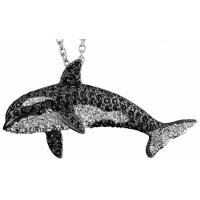 This incredible whimsical t..
JNK35 Rhodium Plated Black and Clear Crystal Whale Brooch / Pendant Admire the sheer..